eBay has decided to bring its Retail Revival program to Lansing, Michigan. The program will see eBay offer training to local entrepreneurs and small businesses in the city over the next year to help them sell on eBay’s online marketplace, thereby taking advantage of the e-tailer’s technology and customer base of 175 million buyers worldwide to boost their exposure and sales. The e-tailer will provide one-on-one coaching, access to an eBay customer service team, and an eBay store subscription at no cost to participating businesses. This is eBay’s first Retail Revival partner city since seeing strong results in Akron, Ohio. eBay originally debuted the program in Akron earlier this year, according to EcommerceBytes. After only five months of the partnership, the 70 most-active sellers that joined Retail Revival made more than 6,000 combined sales in all 50 states and in 51 international markets, Tamebay reports. This success is part of what drove eBay to expand the program to Lansing, and the e-tailer intends to continue adding partner cities both in the US and abroad. The program could boost eBay’s image as it expands by adding a roster of local products to the e-tailer’s offerings. Getting local businesses to sell on its marketplace may enable eBay to offer specific items that can’t be found on any other site. The more cities the e-tailer partners with, the wider the variety of unique regional flavors it can offer its customers. Additionally, eBay’s current strategy of choosing partner communities that have a strong business scene but have been struggling with severe local economy issues could give the company the image of a benefactor that helps cities get through their economic difficulties, drawing more traffic and customer loyalty. If other online marketplaces start working with small physical businesses as well, it could lead to an influx of local goods on e-commerce marketplaces. 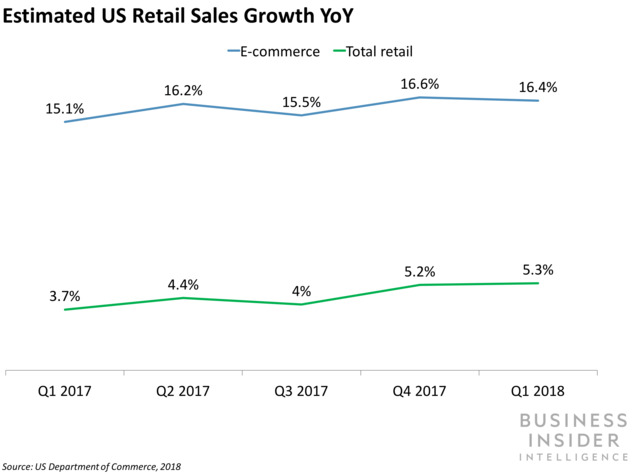 If eBay’s expansion plans for Retail Revival succeed, other online marketplaces such as Amazon may consider a similar program, drawn by the opportunity to offer exclusive local goods. If retailers actively start reaching out to help main street businesses develop an online presence, local physical companies may see a boost, even from local shoppers who are drawn by the convenience of shopping online. Additionally, the e-commerce space may see the emergence of a variety of competing region-specific product offerings as e-tailers race to partner with cities and offer their local products.